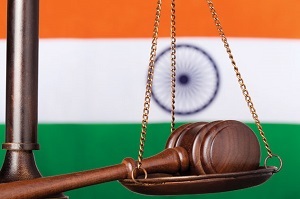 Developments in Indian Competition Law will change how entities do business in India. Based on the recommendations of an expert committee, The Competition Act 2002, will be amended for a third time by The Competition (Amendment) Bill 2012. Most notably, the Bill introduces changes regarding joint dominance, the powers of the Competition Commission of India (‘CCI’), the protection given to Intellectual Property rights (IPRs) as well as the opportunity of a hearing prior to imposition of a penalty and an expansion in appealable orders. Whilst abuse of a dominant position has always been prohibited by the Act, this previously only applied to a single dominant entity. Now it applies to an “enterprise or group, jointly or singly”. This means that enterprises not dominant in themselves, that bring about the effect of dominance by working with other enterprises, can be found to be anti-competitive. Businesses, therefore, must reassess their business practices if they are in a position of collective dominance, so as to avoid any actions that would be an abuse of this position. The powers of the CCI are to be extended significantly by the Bill. Search and seizure operations, or dawn raids, can now be undertaken by the CCI based on authorization from the Chairperson of the CCI, as opposed to an order from a magistrate of the relevant jurisdiction, as previously required. The trigger points allowing a dawn raid have also been extended. Business should be aware that the CCI’s previous practice of not exercising its search and seizure powers may now change based on these legislative amendment and its development out of infancy. Certain actions that would usually be considered anti-competitive are allowed if they protect specific IPRs. Entities can therefore exercise their IPRs fully without simultaneously being in breach of competition law requirements. The scope of protection given to IPR Laws has been expanded by the Bill. Previously protection was only granted to six specific statutes listed in s.3(5) of the Act, now it is also granted to “any other law for the time being in force relating to the protection of other (IPR)”. This catch-all provision could be interpreted to include IPRs granted under foreign legislation as well as Indian IPR Legislation. The process of imposing penalties has become significantly more transparent since the Bill includes the possibility of a hearing prior to the imposition of a penalty for anti-competitive agreements or abuse of a dominant position. The hearings are intended to address the quantity of the penalty that can be imposed. The Bill also expands the type of orders that can be heard by the Competition Appellate Tribunal. The Bill has been commended for some of its amendments which bring it closer to Competition regulations in other legal systems, however, it has been criticized for its lack of clarity in a number of areas. Regardless, entities doing business in India should reevaluate their practices to ensure compliance when the Bill is passed.